A boat design program for those who need to understand the basics of design but who do not intend to become professional small-craft designers. Elements of Technical Boat Design or “Elements” will be of primary benefit to marine industry professionals: managers, marine surveyors, industrial and interior designers, boat builders, professional crew, marine technicians, insurance adjustors, marine investigators, and others simply looking for an expanded knowledge of job-related disciplines. Elements is intended to provide students with a working knowledge of the basic principles that affect the design of boats and yachts. With a firm understanding of resistance and stability as well as fiberglass design, the student will gain an appreciation of the problems that a small-craft designer must solve in order to develop a successful design. An understanding of hull lines will enable the student to "read" a bottom to determine why a hull performs the way it does. The course work includes basic-level manual drawing and drafting. This is done to determine the student's comprehension of the subject matter. 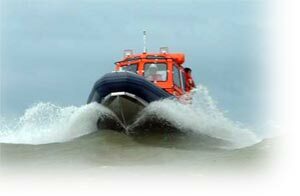 Elements of Technical Boat Design is not a substitute for the Yacht & Boat Design professional diploma course. However, Elements students may transfer subjects passed in the Elements course into the professional diploma course upon enrollment and acceptance into that course..